our success stories — welcome home, riders! We connect people. We create experiences to promote life-long learning and conscious living. Yeah! These are success stories that we like to talk about. We aim to create a global movement starting with a collective book initiative: EDUshifts - The future of education is Now! Transformation in our society happens through innovation and disruption in education. With EDUshifts Now! we are going to disrupt the way we read and process books. Be inspired! Be strong! No book store will ever be able to sell a copy of this exclusive and limited book. You just get it at www.EDUshifts.world. EiYoU!, funded by the European Union, is an education project that is addressing the crisis in Youth Unemployment through creative and innovative ideas. This project gave us the opportunity to understand the funding and administration principles of large regions. 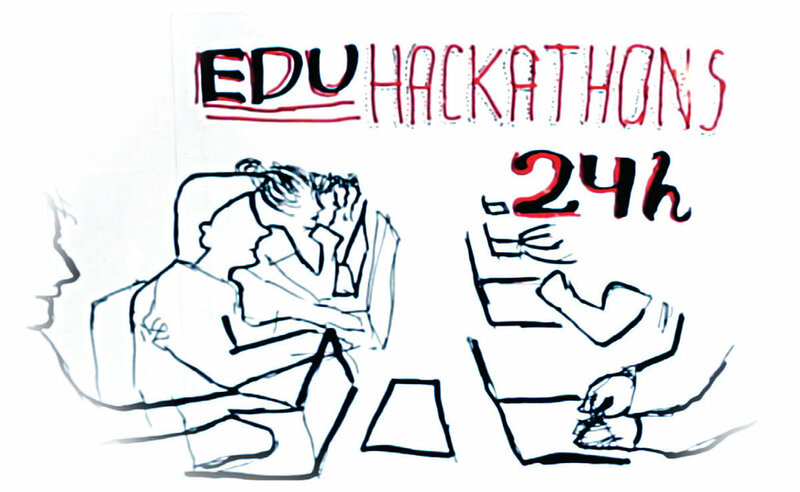 We could test EDUhacks with different age groups and Edu on Tour Youth. We initiated CONANE, the 1st national conference for alternative education, in Brazil for 400 participants and 50 alternative education initiatives and education pioneers. CONANE is now an ongoing biennial collaborative conference that is triggering a self-organized movement of independently run regional conferences. We initiated and contributed to the global online map of alternatives in education of Reevo which showcases alternative education initiatives to the general public. In order to prove that alternative education systems are already in place.